Includes： pompoms, pipe cleaners, googly eyes, white glue, wooden stic, plastic beads, sequins, scissors, glitter glues, gems, EVA shapes etc. 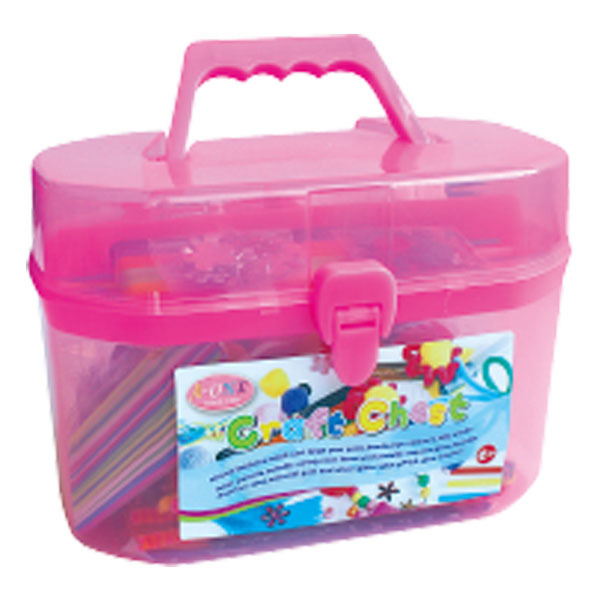 This kit include everything you need to make many projects, it's suitable for parties or rainy days! The chest could be used as a storage case so the components won't be in mess when children play.